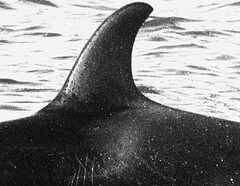 As a whole, A5 pod was captured in April 1968 and December 1969, in order to take young orcas into aquariums around the world. 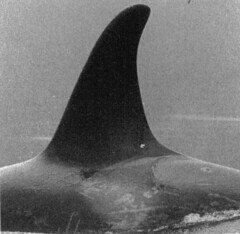 Almost an entire generation of orcas were taken from different families of the A5 pod. 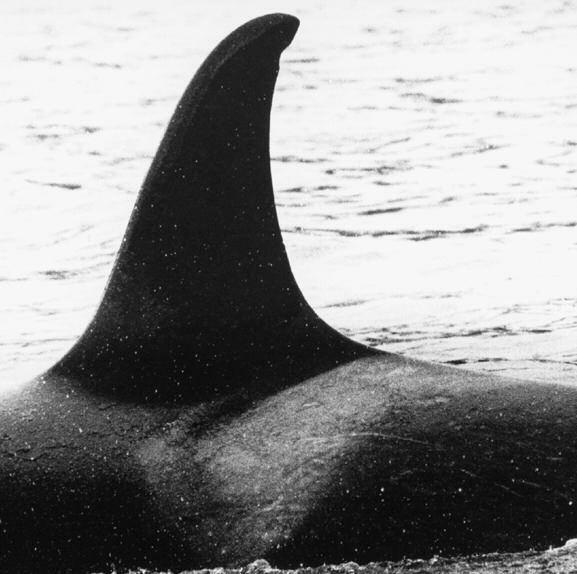 One subadult female, Corky II, one subadult male (no name) and a female calf, Patches, were shipped to Marineland of the Pacific, south of LA. Patches died the following year of salmonellosis and "no name" a year alter of pneumonia. The remaining female, Corky II, has survived to date. A mature female, 16 foot long and weighing more than two tons, was flown 6.000 miles to England's Cleethorpes Zoo. 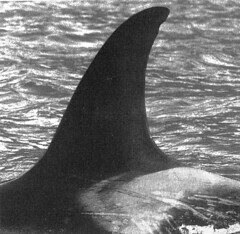 Calypso, as she came to be known, was transferred soon after to France's Marineland Cote d'Azur, where she died within the year. 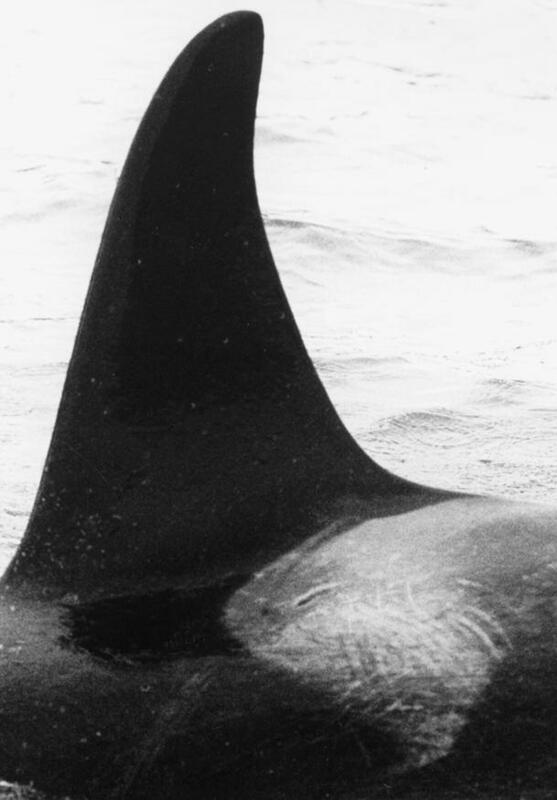 A male and a female subadult, Nepo and Yaka, were flown to Marine World Africa USA near San Fransisco. 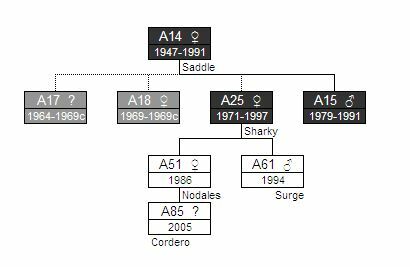 According to the family tree of the A25 matriline, Patches could be A18 and A17 could be the subadult male with no name. 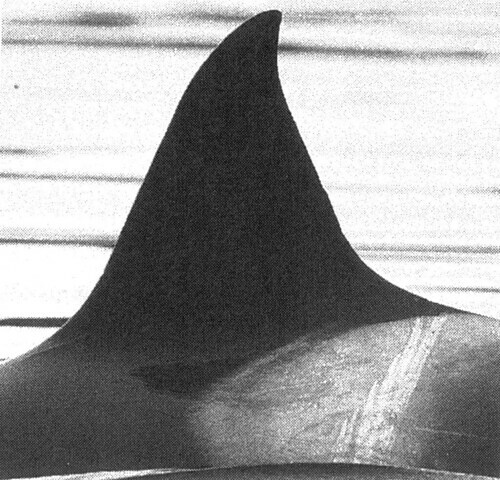 A25 called Sharky because of the distinctive shape of her dorsal fin. A51 has a solid saddle on her right side.